The task of looking for an SUV can be filled with anxiety and confusion. Which SUV is the best one available? Which one suits my needs? Will it be reliable? All of these questions are a natural part of the process, but we are here to say that the 2019 Jeep Grand Cherokee is here to alleviate any confusion or anxiety. 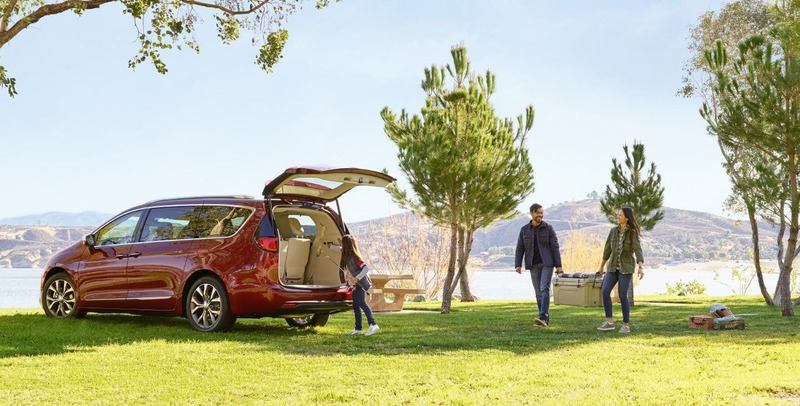 This SUV gives you the space you need, the capabilities you want, and the technology that keeps you solidly in the 21st-century. Everyone in the family will enjoy this vehicle, especially those who want a comfortable and luxurious interior. From multiple engine options to 7 trim levels, nothing is overlooked in this powerful machine. To learn more about what the 2019 Grand Cherokee has to offer, then you need to keep reading down below! What is the model lineup of the 2019 Grand Cherokee? There are seven models in the 2019 Jeep Grand Cherokee lineup. These options include the Laredo, Limited, Trailhawk, Overland, Summit, SRT, and Trackhawk. The base model is the Laredo, which features rear parking sensors, a 7-inch touchscreen, 17-inch wheels, dual-zone automatic climate control, a six-speaker sound system, keyless ignition and entry, and Android Auto and Apple CarPlay. The Limited comes next, adding more features like leather upholstery, 18-inch wheels, driver-seat memory settings, a 115-volt power outlet, remote start, a heated steering wheel, auto-dimming driver-side and rearview mirrors, heated front and rear seats, and power-adjustable front seats. One of the performance-focused models is the SRT, which comes with 20-inch wheels, selectable performance modes, sport-tuned steering and brakes, performance tires, a limited-slip rear differential, an adaptive sport-tuned suspension, and a sport body kit. There are four other models to choose from, and each of them comes with a long list of standard features. What safety options come with the 2019 Grand Cherokee? In an SUV like the Grand Cherokee, safety is no issue. This vehicle gives you front and rear crumple zones that help to redirect energy away from passengers, along with absorbing that energy. There are also seven standard airbags, like front seat-mounted side airbags, multistage driver and front passenger airbags, and even side-curtain airbags! Other important safety features include forward collision warning with active braking, adaptive cruise control with stop, LaneSense lane departure warning with lane keep assist, and blind-spot monitoring. What engines come with the 2019 Grand Cherokee? Along with the seven available models, the 2019 Grand Cherokee comes with five different engine options. The first of these is the 3.6-liter V6, which pumps out 260 lb-ft of torque and 295 horsepower. Another engine option is a turbodiesel 3.0-liter V6 which generates 420 lb-ft of torque and 240 horsepower. This diesel engine is a nice option for someone who does not want a gasoline engine, and it will be made available in the 2019 model year. The most powerful engine comes with the performance-heavy Trackhawk and is a 6.2-liter supercharged V8. This engine can output 645 lb-ft of torque and 707 horsepower. An eight-speed automatic transmission comes standard with every engine. You can also, with most models, choose between rear-wheel or four-wheel drive. The 2019 Jeep Grand Cherokee is an SUV that means business. Not only does this SUV offer stability and reliability, but you can also get power and technology to further boost this SUV above all of the other vehicles in the segment. For more information, stop by our dealership today!